Technology will transform higher education as it has many other industries. One of the ways it will cause transformation is through personalization—giving students more power to understand and craft the education experience they want for themselves. This will happen as information technology, or IT, becomes embedded in more and more of the processes that make up going to college such as course enrollment, classroom instruction, and student support services. The IT infrastructure supporting college education processes makes it possible for students to register for a course more quickly, take courses online, or connect with campus tutors through social media platforms. Of equal importance, the data about student journeys, successes, and failures that can be captured through the IT can improve both individual, and perhaps collective, outcomes across all of higher education when provided back to students in useful ways. This brief provides an overview of technology and industry change, a series of examples of technology innovations that are driving the “personalization” revolution in higher education, and finally provides some recommendations for policymakers on how to facilitate this process. Technology is transforming higher education. Software’s ability to play a key role in functions from course enrollment to classroom instruction to student lifestyle management is beginning to produce better ways for students to enroll in, learn at, and eventually complete college. In addition, these software tools are beginning to produce the kind of actionable data that will transform higher education. Today, we treat higher education as a “black-box” experience managed by the intuition of faculty and administrators. Consequently, students, families, and taxpayers pay a lot of money for an offering we know very little about. Once we begin to have a better sense of what works and what it costs we can begin to have a real conversation about the affordability and performance of colleges. Tomorrow, information technology will provide more cost-effective ways to ensure that students enroll in and learn from the courses best suited to them while better managing their student experience to boot. Evidence of the transformation and the emerging policy challenges are seen in the U.S. Department of Education’s recent spurt of regulatory energy that culminated in two highly visible and contentious debates. The first was the tempestuous fight over gainful employment—a rule that seeks to hold career-training programs that receive federal funds accountable for results in terms of students’ career/income outcomes. The second is the emerging debate about standardized definition of the credit hour—the unit of measure by which colleges award degrees, namely you need 120 credit hours to get a B.A., and, not coincidentally, how these institutions get paid for their work. On the surface, these debates are driven, and justifiably so, by the amount of money that for-profit online colleges are receiving from federal financial aid funds and whether or not the government (and students) are getting something consistently valuable for the price paid. Underlying this fight, however, is a much deeper challenge with regard to how technology is transforming higher education. Beginning with, but not limited to the online education offered by for-profit institutions, students and institutions are interacting more with information technology. This interaction is producing ways for students to “personalize” college by using technology to register for and take courses, and even to manage their time. In addition, we are beginning to see a rise in the data that is produced from these interactions that can be used to empower students to make even better choices as their journey continues. Policymakers, institutions, and, indeed students themselves have only begun to mine this data to open the “black-box” of college delivery and see what works and what doesn’t. This is what has happened with the travel industry with the rise of Kayak and Priceline. Consumers became more empowered in the travel industry and began structuring the best experiences for the best prices from their perspective. Higher education institutions gather data now for the purposes of reporting to public policymakers. Evidence suggests that very little of it is used to create data-driven enrollment, instruction, or student support practices that would promote college completion and success. Emerging technologies are not only providing data to institutions that could facilitate the creation of these practices but also giving students themselves the opportunity to see the data and consequently have the opportunity to become better managers of their own education experiences. What follows are examples of technologies that can both improve the performance of students in college and create data that can help us build better systems. Perhaps the most exciting of the “personalization” education tools are those emerging to enhance the actual instruction process itself. An excellent example of this is The Open Learning Initiative, or OLI, at Carnegie Mellon University. OLI brings together evidence-based research in learning, science, and technology to create web-based learning environments. 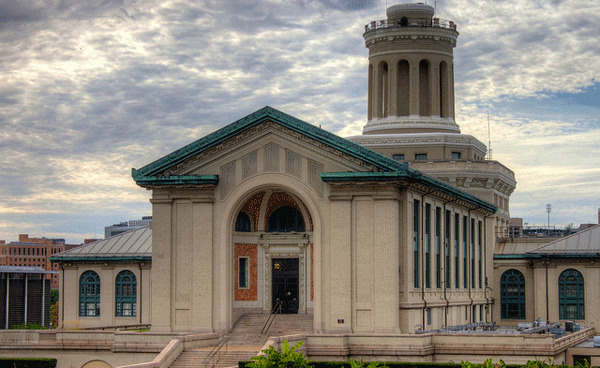 These web-based offerings could support individual learners who do not have the benefit of an instructor achieve the same learning outcomes as students who complete the traditional course at Carnegie Mellon. OLI offers college level courses in engineering, biology, French, and statistics to name only a few. All courses are online and free of charge. The courses are offered in student-centered learning environments and have measurable learning objectives and built-in tools to support students in achieving them. Each course contains small amounts of explanatory text and many activities that capitalize on the computer’s capability to display digital images and simulations and promote interaction. Many of the courses also include virtual lab environments that encourage flexible and authentic exploration. The aspect of OLI that most expresses the precision education ethos is its embedded “mini-tutors.” These intelligent tutors are computerized learning environments whose design is based on cognitive principles and whose interaction with students is like those of a human tutor—making comments when students err, answering questions about what to do next, and maintaining a low profile when they are performing well. This approach differs from traditional computer-aided instruction, which gives didactic feedback to students on their final answers; the OLI tutors provide context-specific assistance throughout the problem solving. OLI also includes instructor and student dashboards so that both can have real-time feedback on how and why learning is occurring. The “mini-tutor” has two features that help create more data-driven education. The first is that they learn with the student—this is called adaptive instruction. Based on student errors, the mini-tutors come to anticipate future challenges and provide problem sets to assist the student in mastering the material. The second is that the mini-tutor generates robust data on how learning is actually happening across students that can be used to improve both individual performance, enhance course design, and even begin to predict future performance of similar students. Initial research on the learning results of OLI is extremely promising with students from diverse backgrounds learning as much or more as students in traditional classroom settings. With the tools provided by OLI, students themselves can have much more complete knowledge about how they actually learn and thus manage the instruction process to their benefit. An example of “personalization” in the process of course enrollment is provided by Saddleback College, in the South Orange County Community College District of California, which enrolls nearly 40,000 students. Saddleback has developed a software called SHERPA, or Service-Oriented Higher Education Recommendation Personalization Assistant. SHERPA works similar to the recommendation services on Netflix and Amazon. Student preferences, schedules, and courses can be stored to create profiles that are responsive to student needs. SHERPA was conceived and shaped by the realization that today’s students are accustomed to receiving recommendations in things they are considering doing or buying—movies, books, restaurants, music, and directions. So why not build, “nudges,” and lifelines into the online academic experience? Lifelines are tutors, live or otherwise, time management tools, and life planning resources than can help students get help or manage competing priorities. Instead of just telling a student that a class is full, the program will suggest classes that are open. If students program in their work schedule, SHERPA will guide them to only the classes that are available when they are, both at Saddleback and Irvine Valley College, which is also a part of the district. Imagine a SHERPA-like tool that includes data on how students with your similar profile performed in that class and you begin to get at the kinds of technology-enabled information that makes college less of a crapshoot and more of a sure thing. Building on SHERPA’s course selection tools, Purdue University developed an early warning system for college course taking success, named Signals. The Signals software monitors students’ behavior patterns and academic performance to determine if they are at risk of earning a low grade and allows faculty to intervene with suggestions on actions they can take to help students improve their grades. An intuitive stoplight dashboard provides indications to students, on their course homepage, if they are underperforming and prompts the students to take action. Signals scrapes and analyzes data from grade books, activity log files, adding in student demographic information, as well, to create a profile of the student that can be compared with those of successful students. At-risk behaviors and characteristics can be identified and guidance and resources provided to invigorate student effort and provide better academic prep. The result is that students are able to have a very fine-grained sense of how they are doing in the course overall and adjust to produce better results or reach out to available resources such as faculty or tutors for help. Research on learning communities suggests that helping students actually manage their academic lives can help them persist in college until they complete their course work and graduate. Based on this research and leavening in insights from behavioral science on how people make decisions, technology is beginning to emerge that builds adaptive software tools similar to the “mini-tutors” noted above designed to help motivate students to persist and succeed in college. The software builds profiles of student behavior, academic life, and preferences into interactive tools that that help them stay on track. An early example of this technology is being introduced by a social enterprise called Persistence Plus. Founded by Jill Frankfort and Kenneth Salim, who previously worked at the Kaufman Foundation’s Education Ventures Program, Persistence Plus uses smart software in mobile platforms such as cell phones and iPads to engage and motivate students to complete college. Think of Persistence Plus as the “Weight Watchers of college completion.” In the same way the Weight Watchers helps transform lifestyles around nutrition, Persistence Plus fosters student behaviors and mindsets that lead to college persistence, completion, and success. Interventions targeting common college obstacles. Software tools help students learn how to prepare for and deal with academic setbacks and external obstacles, organize time and responsibilities, and make progress towards short- and long-term goals. Social network levers. Tools facilitate positive peer academic pressure by enabling students to easily share academic goals and their progress toward them with friends, and compare their own academic habits to aggregate norms. An automated channel of communication and care. Through engaging messages that call for a response, Persistence Plus collects data on the well-being of students, and uses this information to identify and reach out to students who need additional support before official early alerts. Rapid research and development. Persistence Plus evaluates and assesses the efficacy of each motivational intervention at promoting successful college-going behaviors in real-time and uses the data collected to refine its approach for different student populations and contexts. By tracking their own performance or connecting to the performance of others, students are able to keep up with which behaviors work to help them complete college and which need to be modified. Each of these software tools is using individual level data to both transform the way that higher education is done today and provide new data on how it should be done in the future. The key is to allow students access to both their own data and the user-generated data of their peers. Creating guidelines for how data generated through these technology tools should be treated in order to promote student privacy while allowing for the data to be shared in a social environment. Reviewing the data it currently collects to find areas where the information might supplement the emerging user-generated data in ways that help students make better choices. Funding the development or spread of emerging “personalization” tools through competitive grants. A special focus could be placed on fostering the scaling of these tools in institutions that educate underserved populations including low-income students and students of color. Students have the most to win and lose from the choices they make to get them through their college journey. Using data from their own experiences to help them become better consumers of college just makes good sense. Louis Soares is Director of the Postsecondary Education Program at American Progress.